With Trex Fascia, your outdoor space stands out, side on. Engineered to last and retain its rich color just as long as your deck surface, our fascia and risers bring wonderful depth and dimension to your design. Plus, you can feel good about your purchase, since Trex is made from 95% recycled materials. 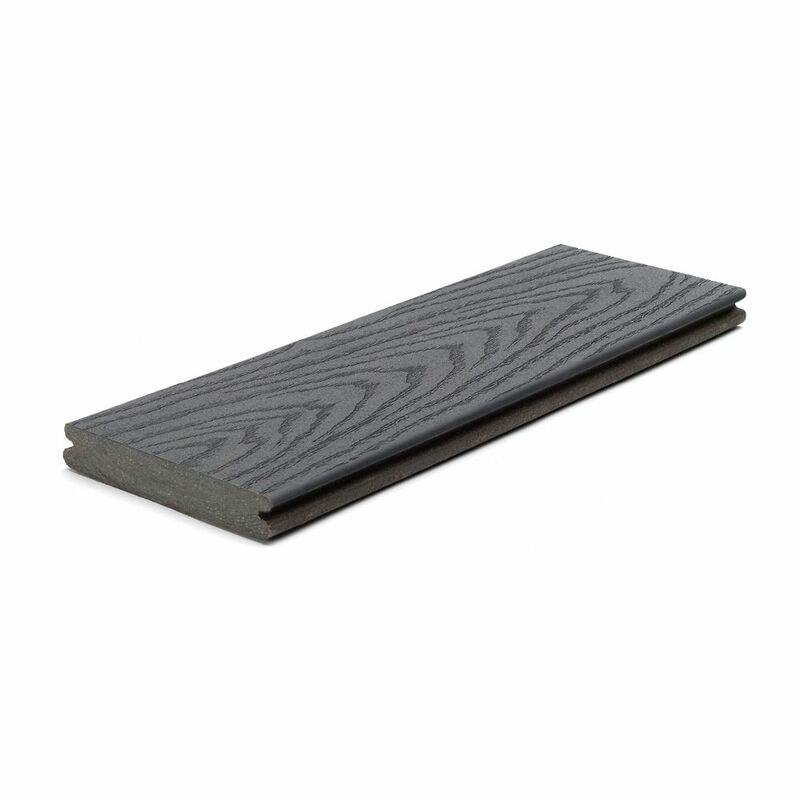 12 Ft. - Select Composite Capped Grooved Decking - Winchester Grey Trex Select brings legendary luxury to your home more affordably than ever. Durable and inviting, Select is the perfect, go-with-anything decking that retains its beauty for decades with only minimal upkeep. And when it comes to deck design, our Decking & Railing Duos can give you an idea of what's possible. Plus, you can feel good about your purchase, since Trex is made from 95% recycled materials.